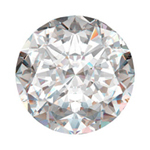 Our diamonds are purchased from well known and respected suppliers. Each of these suppliers has agreed to the standards established by the Kimberley Process, which is an international system for assuring that diamonds come from sources that are conflict free. This Product Usually Ships in 5-7 Business Days. It usually ships out in 5-7 Business Days (Mon thru Fri) after you order has been fully processed. Products are shipped subject to Credit Authorization and Availability. It includes FREE Shipping for qualifying purchases and usually ships out in 5-7 Business Days (Mon thru Fri) after your order has been fully processed. Products are shipped subject to Credit Authorization and Availability. * Adult Signature is Required Upon Delivery of all orders.